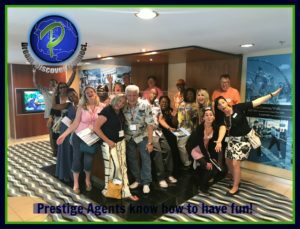 Become a Travel Agent with Prestige Travel Systems – The Original Host! – Join the Prestige Agent Network and Dream…Discover…Connect! 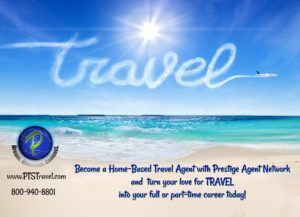 Become a Travel Agent from only $125! Call (800) 940-8801 or Join Online! Become a Travel Agent with an Award Winning Travel Agency! Prestige Travel Systems – The Original Host! Do you love to travel or have the passion for travel? Become a travel agent and start your own home based travel business! Take advantage of one of the most exciting business opportunities available. Our easy start up program provides travel agent training, marketing support, discount travel and support from our staff. You can service your clients or refer them to our reservation center, work at home, set up a virtual internet travel agency, or an office location. The Prestige Agent Network has programs for both the novice and experienced travel agent. 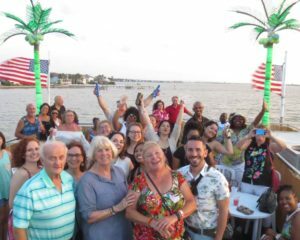 Consider becoming a travel agent and starting your own travel business and you will find a method to turn travel into a profit-making opportunity. You can have a full-service travel agency in your home, office or through a virtual office and begin receiving commission on all travel you book. 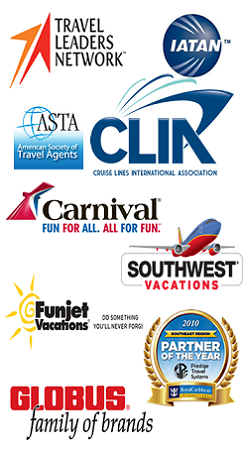 The Prestige Agent Network has created a travel business opportunity where you earn commission for your personal travel, friends, family and other travel clients. We encourage you to explore this concept and discover how travel can be a part of your future, and how becoming an independent travel agent can provide a new business or enhance your current business and your life. Our proven business system gives you the opportunity to generate a success with home, office or internet based travel business…through friends, acquaintances, business contacts, the internet, organizations and virtually everyone you know. Get Started Today! Join Now! Ready to get started? Download the Application, Call (800) 940-8801 or Sign Up Online Now! Join the Prestige Agent Network and Dream…Discover…Connect! Why Start a Home Travel Business?